Take charge of your life today. Move towards a more financially secure future. Manage your assets and keep track of your debts with the tools and options that My Home Software offers. Don't let your money control you. 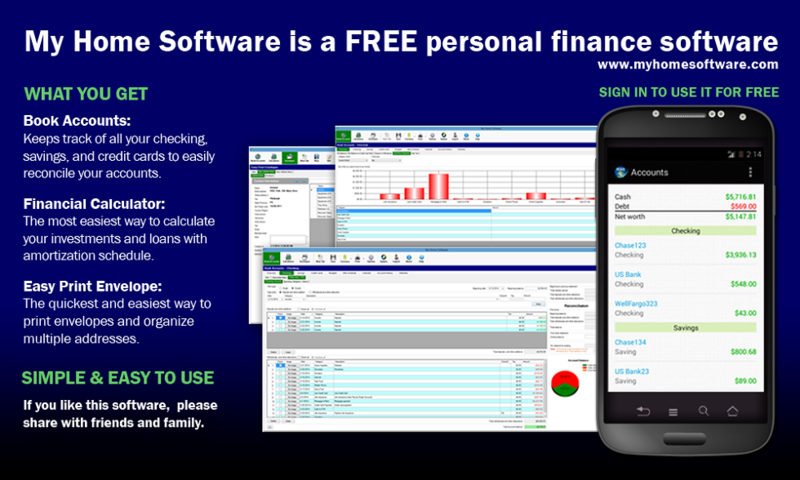 Start using My Home Software today to manage your finances and achieve your personal financial goals.